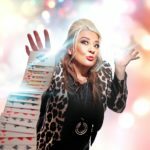 Mandy is the only woman ever to combine Comedy and Magic on the UK Comedy and Corporate circuits and has been awarded The Magic Circle Carlton Award for Comedy in Magic. She has a striking personality with a razor sharp wit and so creates a fantastic rapport, offering a great line in audience participation. 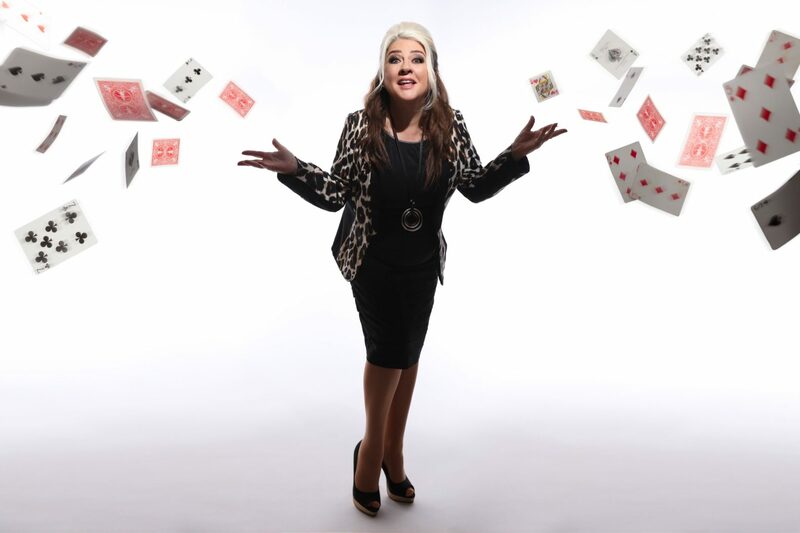 She can adapt her show to any type of event and audience from an intimate gathering to a massive auditorium. 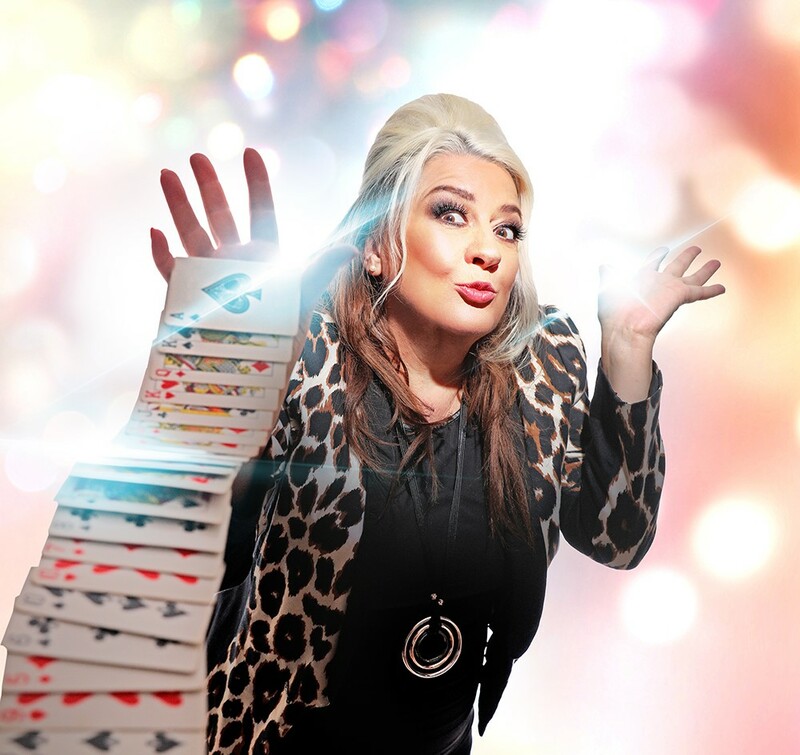 Having performed all over the world from Comedy Clubs to Buckingham Palace. MM shot to fame on Britain’s Got Talent in 2018. Get tour dates and tickets HERE! Mandy is also in demand as a presenter and compare at trade shows, award Ceremonies and corporate events. 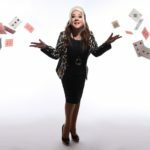 Mandy is the first and only woman to host the Magic Circle. Interview by Alex Belfield for Celebrity Radio 23rd Jan 2019.